This definitive collection showcases thirty years of work by one of the most significant American poets of the twentieth century, bringing together verse that originally appeared in eight acclaimed books of poetry ranging from Hello: A Journal (1978) to Life & Death (1998) and If I were writing this (2003). 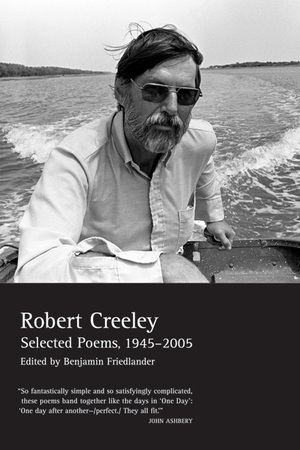 Robert Creeley, who was involved with the publication of this volume before his death in 2005, helped define an emerging counter-tradition to the prevailing literary establishment—the new postwar poetry originating with Ezra Pound, William Carlos Williams, and Louis Zukofsky and expanding through the lives and works of Charles Olson, Robert Duncan, Allen Ginsberg, Denise Levertov, and others. The Collected Poems of Robert Creeley, 1975–2005 will stand together with The Collected Poems of Robert Creeley, 1975–2000 as essential reading for anyone interested in twentieth-century American poetry. Robert Creeley (1926—2005) published more than sixty books of poetry, prose, essays, and interviews in the United States and abroad. His many honors included the Lannan Lifetime Achievement Award, the Frost Medal, the Shelley Memorial Award, and the Bollingen Prize in Poetry. He was a member of the American Academy of Arts and Letters and Distinguished Professor in the Graduate Program in Literary Arts at Brown University.